This course is designed for beginners who wish to become a software developer by using Java, which is one of the most popular programming languages for web, desktop and mobile application development. 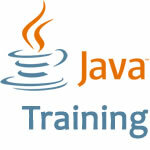 It is a classroom-based course that covers the essential topics to start programming with Java. No existing knowledge on Java is required. Familiarity with any programming language is helpful but not required. You should have basic computing knowledge. "The way the class was taken was very well done. I understood the subject thoroughly as it was explained in such an excellent manner. Would recommend anyone willing to know this subject."